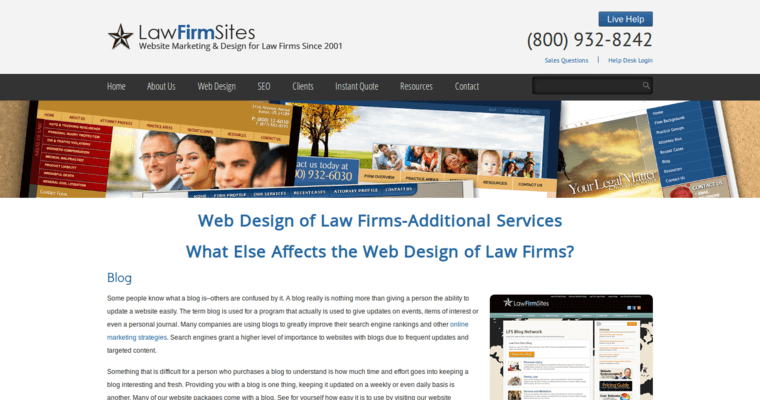 Law Firm Sites is a website design and marketing company that specializes in helping law firms establish a professional web presence. 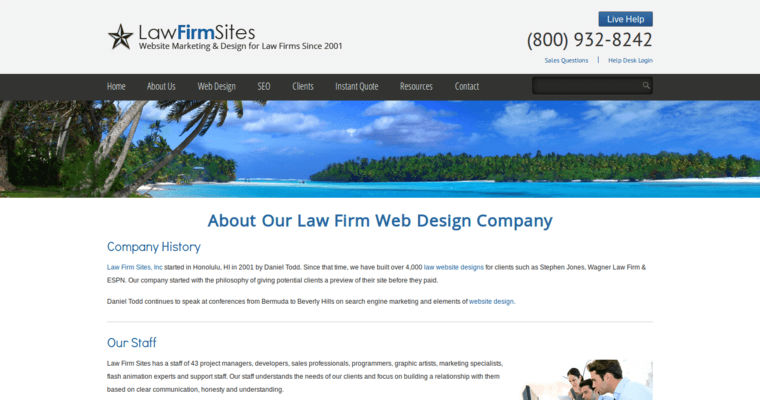 When they create a website for a law firm they handle all the graphic design and programming as well as any photography that may be needed. Law Firm Sites offers foreign language support so that such barriers will not be an obstacle to helping clients. They also realize that as a law firm, with a lot of sensitive legal documents, security may be at the top of your list of concerns, which is why their sites are extremely secure. 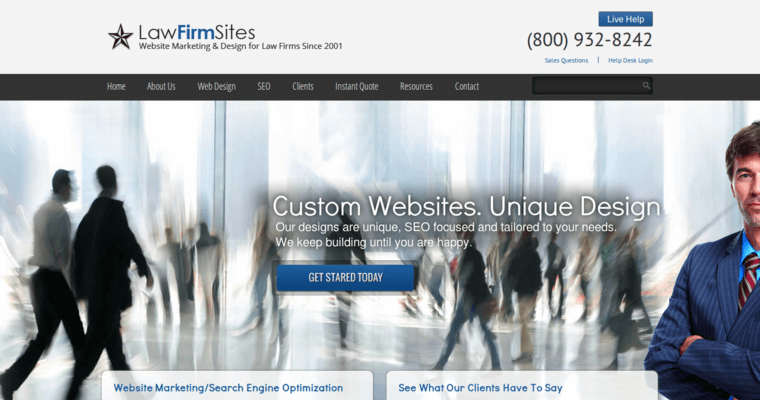 They assist law firms in putting together their digital marketing efforts, which includes search engine optimization. They can also help with the production of any printed media a law firm needs to market its services. They reduce your workload by managing your emails and contacts and streamlining information and communications.